A few weeks ago, I spent some time with Alistair McQueen from Aviva where I learned about investing. During our chat I realised that investing for the future was not only doable, it was actually extremely easy with Wealthify at Aviva. And as someone who has not always been the best at dealing with finance and administration this was music to my ears! So, after chatting to Rob we decided to take our first step and invest. When you enter the website you’re first step is to input your investment goals – what do you want to aim for? We’ve decided that money for home improvements is the goal for our investment as we want to convert our garage into a studio (well I do anyway, Rob is less keen to give to the beloved workshop space he uses twice a year 😑🙄😂). You’re then asked to decide how much to invest upfront and how much to pay in monthly. As we’re new to this we settled on £300 upfront and £50 per month to start with. You can change any of this at any time just by using the slider on the website. We then had to decide how long to invest for. We decided on 10 years. Again, you just use the slider to select the number of years - and you can change this at any time as well. It was a very simple decision to choose ‘Ethical’ as our investment theme and there was plenty of information at our fingertips about the blend of environmentally and socially responsible companies that Wealthify work with. Our final decision was around how adventurous our investment style is - from ‘Cautious’ through to ‘Adventurous’. There is a questionnaire that really helps you decide between the five options. We settled on ‘Cautious’, again because we’re new to this and Al explained that there is always some risk when it comes to investing. Investments can go down as well as up in value so we could get back less than we put in. I have to say that I can’t actually believe that I’m talking about investing as it’s something I normally shy away from! The website made it so easy. You then see several whizzy graphs showing you where your money will be invested and there’s lots of further information available at the click of an ‘i’ button should you want it. I felt that the information given was very clear and honest without being too detailed or overwhelming. Anyway, our investment journey has started! Whether I get my new studio space or not, I now feel much better equipped to work out what I need to do to achieve my financial goals in the future. This is a Paid Partnership with Aviva UK. I’ll be the first to admit that I am not very grown up when it comes to money. I leave all the boring stuff such as investments, savings, pensions and ISAs for my husband Rob to deal with and instead apply my brain to creating, talking about and writing about home interiors. I rarely even open the finance-related post as I assume it will be a) boring and b) difficult to understand and I don’t have time in my already complicated life to try and understand more things! This spring, however, Rob sold some shares to fund a particularly special summer holiday. And guess what, it turns out that reaping the benefits of an investment can be a pretty good incentive for doing it again! We became expert paddle boarders on holiday. All of a sudden, as well as holidays, I had my eyes set on all the home improvements we could do. I’m after a new kitchen as our current one is 15 years old. Even more exciting though is the potential of converting our garage into a design studio. When Aviva then asked me if I was interested in learning more about their investment options, for once I was all ears! The outside space of my potential studio. Aviva offer a wide range of investment options including Wealthify, a Robo investment tool which simplifies investments for you. As a self confessed finance-phobic I was very happy to have a good chat with Al from Aviva who helped me to answer my initial questions about it. The big issue for me of course, as I said earlier, is that I don’t have any experience and I think it’s bound to be complicated. But Al assured me that with Wealthify at Aviva no experience is necessary. All you have to do is answer a few simple questions to start with (such as how much you want to invest and how often) and your investments will then be managed for you by a team of experienced and qualified investment managers. Al reminded though that I should check it myself from time to time as investments can go down as well as up so you could end up with less than you started with. Al liked to gesticulate quite a lot. It was all sounding good so far, and investing for my home improvements was starting to look more and more achievable. My other main question to Al was - if I’m saving already though (well, hopefully Rob is 😊😂 ) why do I need an investment too? There was another good answer from Al here - while savings are vital for unexpected expenses, investments have the potential to grow, so having both savings and investments makes good financial sense to me. So, it’s amazing how experiencing or visualising the benefits of an investment can focus your mind on what needs to be done to achieve that goal. And then using Wealthify to help you to do this. I’m certainly keen to get going 😊. For more information about Aviva and Wealthify click here. This blog is part of a paid partnership with Aviva UK but, as always, all opinions are my own. A couple of years ago, when Lisa Dawson and I were launching our ‘No Rules Interior Cool’ workshops, we were looking for a few cool, quirky interior brands to sponsor our goody bags. 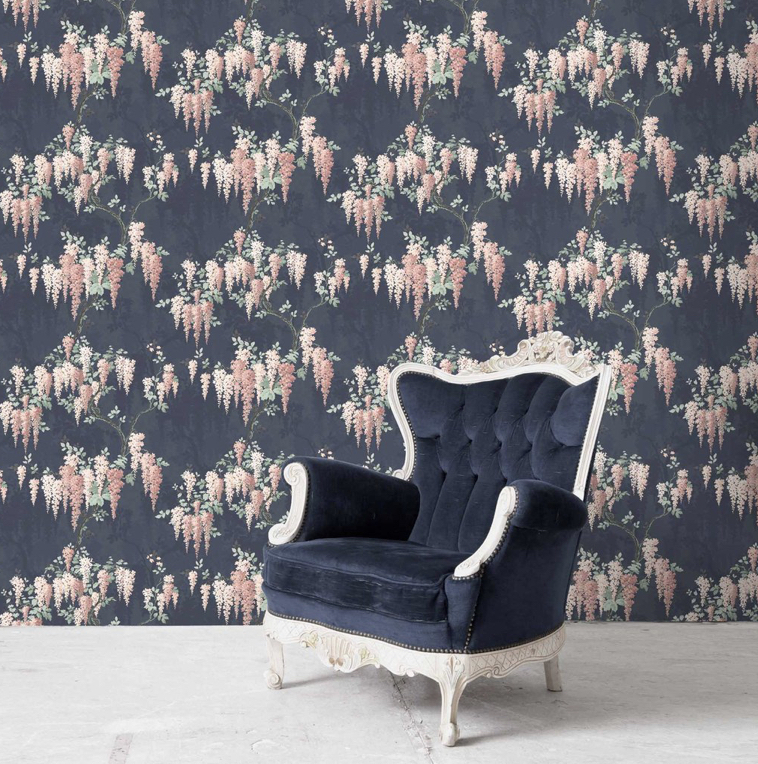 One of those brands was Woodchip and Magnolia, a wallpaper and textile company founded by uber talented and experienced designer Nina Marika Tarnowsk. We instantly loved Woodchip and Magnolia’s vibe and their mantra ‘we like to do things differently. We don’t follow trends or have a signature style. 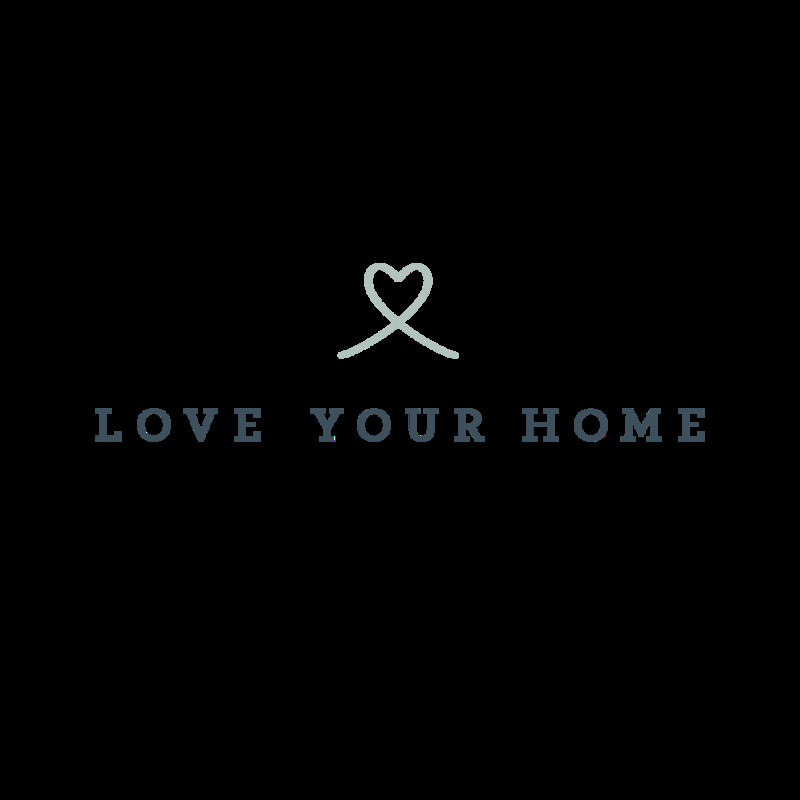 We do what we want when we feel like it, together with creatives who share the same passion and ethos'. it resonated hugely with us and our belief that there are no rules with interior design either. We are also longtime admirers of Pearl Lowe who - although she needs no introduction - is a one time pop singer, a fashion designer and an interior designer with an effortless signature style that encompasses all things vintage and chic faded glamour. Her clothes and interiors and instantly recognisable and her kitchen is one of the most liked on Instagram. So, imagine our delight when we learned that Pearl had designed a range of wallpapers and textiles for Woodchip and Magnolia - definitely a meeting of like minded creatives - and that they were launching the wallpapers at London Design Fair. Moi, Pearl Lowe, Lisa Dawson at Truman Brewery. We met Pearl at London Design Fair for a good old chinwag about all things interiors and discuss Pearl’s excitement at launching her own textile range. ‘I’ve been designing these prints in my head for years, drawing on the many influences in my life. It’s really a dream come true for me!’ We also couldn’t help but meander into other topics - she was so easy to talk to about anything. We talked about how you often only work out how your career path has evolved by joining the dots backwards and about the difficulties of balancing an often unpredictable career in a creative world with the equally unpredictable demands of motherhood - and loads more! We recorded the chat as a podcast here. if you fancy a listen. The wallpapers and textiles are all absolutely gorgeous and unmistakeably ‘Pearl’ in style. They reflect her lifelong passion for vintage, faded glamour and country house opulance, a;ll mixed in with a splash of rock ‘n’ roll.. The designs are an eclectic mix of vintage inspired florals and geometric prints and come in a variety of colourways. So inspiring and beautiful and make me want to redecorate my house immediately! Va Va Frome - a modern take on lushness of palms and ferns. Wisteria - Pearl couldn’t find a wisteria wallpaper to buy so she designed her own! Dawn Chorus - the design was based on some old vintage fabric stored in an old suitcase. To read more about Pearls wallpapers and textiles, and order samples, click on the Woodchip and Magnolia website. To check out Pearl’s designs in beautiful velvet fabrics click here. It was great to meet Pearl - her collaboration with Woodchip and Magnolia really is the perfect match and I can’t wait to see what else they come up with! One of the first people I got to know via Instagram (when I started posting regularly about three years ago) was Wendy Aldridge from Homeplace. Homeplace sells a beautifully edited mix of contemporary and vintage homeware and Wendy’s taste in interior styling, especially mid-century, is impeccable. As well as the shop, Wendy also has an apartment in Ramsgate that she lets out for holidays. The apartment ‘The Homeplace Holiday Let’ has been decorated throughout using Wendy’s eye for design and examples of many of the items that she stocks in her shop. I was lucky enough to host a ‘No Rules Interior Cool’ workshop there with Lisa Dawson back in the Spring and instantly fell in love with the apartment and Ramsgate. In fact, all of us on the workshop fell in love with the apartment so much that when Wendy mentioned that she’d had a cancellation for Easter, I snapped it up for my family’s Easter holiday. The apartment is a basement flat of Victoria Mansions, a huge Victorian villa on the promenade in Ramsgate, The view from the front door is of the sea front and a quick trot across the road and you’re on the beach. The apartment itself is huge and sleeps 6 across 3 double rooms. Huge Front Room - we held a workshop for 20 in here! The front room and kitchen are knocked through to provide maximum light from the front bay windows and large sash windows at the back. Wendy has cleverly joined the colour scheme together by using the main colour from the front room - Farrow and Ball ‘Downpipe’ - as the accent colour in the kitchen on the window frames, door frames and skirting boards. Wendy has also made the most of the remaining original features in the apartment - the floorboards and the windows - by making them focal points in the room. The kitchen is large and airy and big enough to house a dining table for 8. The kitchen was made from the existing carcass, updated with new doors and a stainless steel workshop. There’s a dash of 80s geometry in here too with the grid patterned square tiles and stainless steel hood but, as ever, Wendy blends this effortlessly with the Victorian architecture and mid century furniture. One of the two beautiful Homeplace Holiday Let bathrooms - this got over 6000 likes on Instagram when I posted it. This is the main bedroom at the back of the apartment - all of the furniture, accessories and art is a mixture of new and vintage and all is sourced by Wendy herself. I especially love how she gives a nod to the apartment’s seaside location using quirkier than usual motifs - the vintage toy yacht here is an example, along with the seagull taxidermy in the kitchen! Ramsgate itself is up and coming and, if I were to consider a job move to London, I think I’d seriously consider living here and commuting the hour to London. Ramsgate is awash with huge Victorian villas, some beautiful, some tired and in need of refurbishment, (LOADS of doer-uppers) but all still intact and authentic. We especially loved the houses built into the cliff, the cinema, the beach, the harbour and the flea markets. My family and i also fell for Margate with it’s cool restaurants, Turner Contemporay gallery, flea markets, boutiques, the newly restored Dreamland amusement park and our absolute favourite - The Shell Grotto. We also checked out Broadstairs and Whitstable - both well worth at least a day trip each with their beautiful beaches, cool architecture and quirky boutiques. And oysters of course! We absolutely loved our trip to the this corner of Kent and the Homeplace Holiday Let in Ramsgate and we’d definitely go back to explore it all more deeply. For more info and to book the Ramsgate apartment click here. 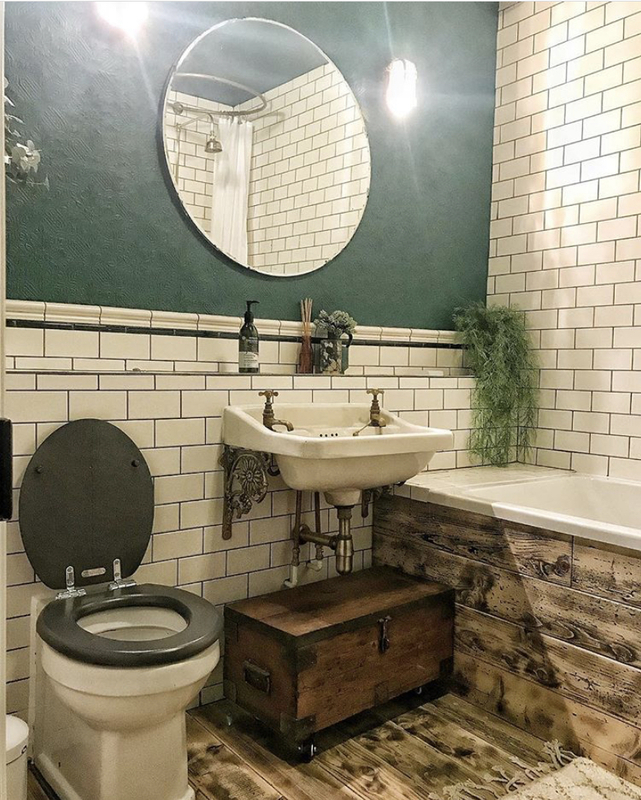 Wendy now has a second holiday let in Porto which she’s decorated beautifully and I can’t wait to visit - For more info and to book the Porto apartment click here. Christmas Decorating with Sainsbury's Home. Do you use the same Christmas decorations, year in year out, or do you like to upgrade every Christmas? If you’re anything like me then you’ll like the best of both worlds - to keep all of your old favourites and then add a few new pieces each year. This Christmas, Sainsbury’s Home have come up with three exciting new ranges - Winter’s Mist, Santa’s Town & Very Merry and Woodland Christmas - so you’re bound to find something that will fit right in with your existing favourites. The Winters Mist range is all about whites and silvers. It’s a paired back, fresh and natural look with hints of green. It’s a timeless look but it never dates or looks old fashioned and, as it’s so natural and simple, it’s easy to mix and match pieces of Winters Mist with other looks. My favourites from the Winters Mist range are the Star Candles. I absolutely love the silvered glass container which both reflects the candle light and allows the glow of the candle to show through - the best of both worlds and perfect for creating a grown up sparkle on your Christmas table. The star shape too is an absolute classic and will add interest to any existing glass or star shaped decorations you already have. 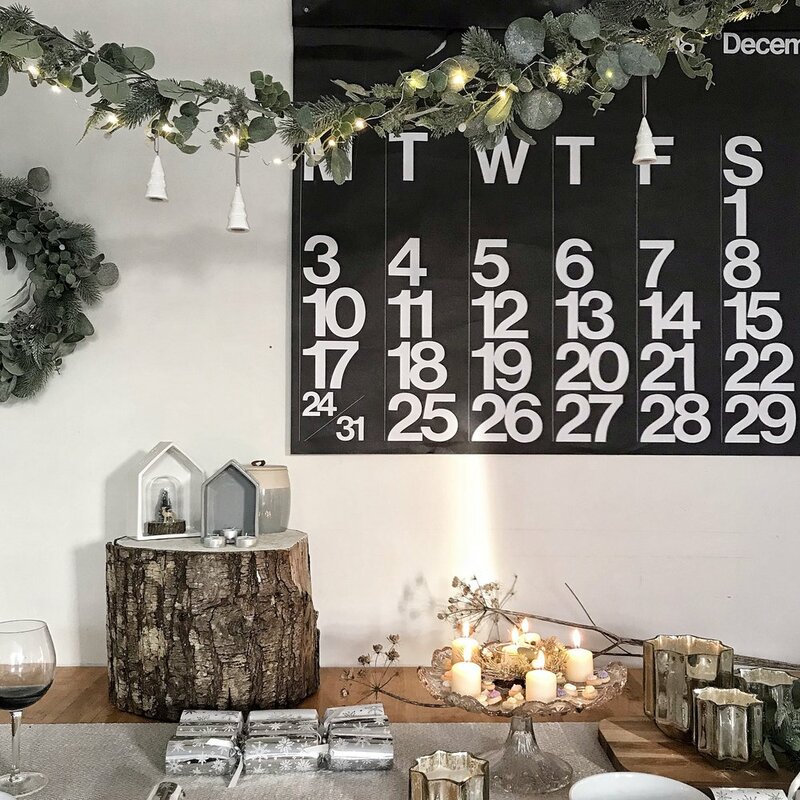 A also particularly love the faux eucalyptus garland and wreath which are a great way of decorating your table or draping around the house. It goes with the Winter’s Mist look but can be used to add greenery to any Christmas look. The benefit of faux of course is that it last all Christmas without wilting, as real foliage would, and you can use it year after year. No Christmas is complete without christmas crackers of course and these silver and white dinner crackers will complete the Winters Mist look perfectly. The Santa’s Town and Very Merry range is great fun and perfect for adding to your collection if you have children or are a dog lover. The colours are a bright and playful take on the traditional Christmas colours of red, green and white with a splash of turquoise. 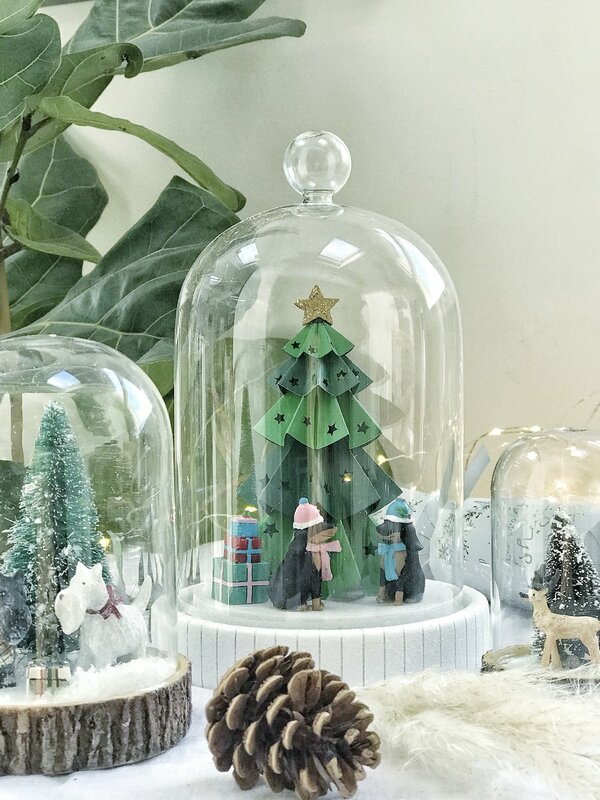 To add to your Santa’s Town & Very Merry look you could use traditional candles or you could use these gorgeous and fun light up cloches which are obviously safer than candles. I’ve used Bingo Christmas Crackers to style my grown up Very Merry look or you could use these Selfie Game Crackers if you’re entertaining children instead. The Woodland Christmas range is all about my favourite Christmas look - a rustic, foraged Christmas. 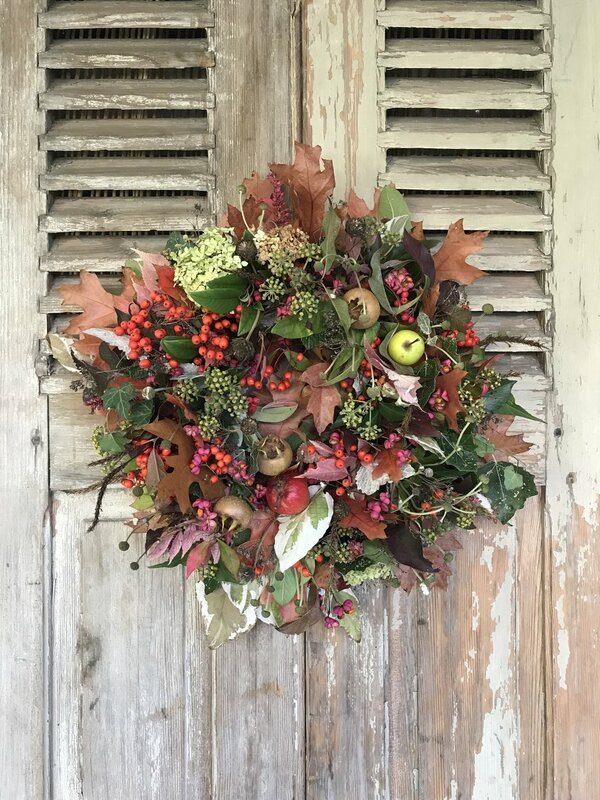 There are lots of use of different wooden textures, dried and woody foliage and greenery. It’s the easiest Christmas look to achieve as lots of the accessories can be obtained simply by foraging in your local park or woods. 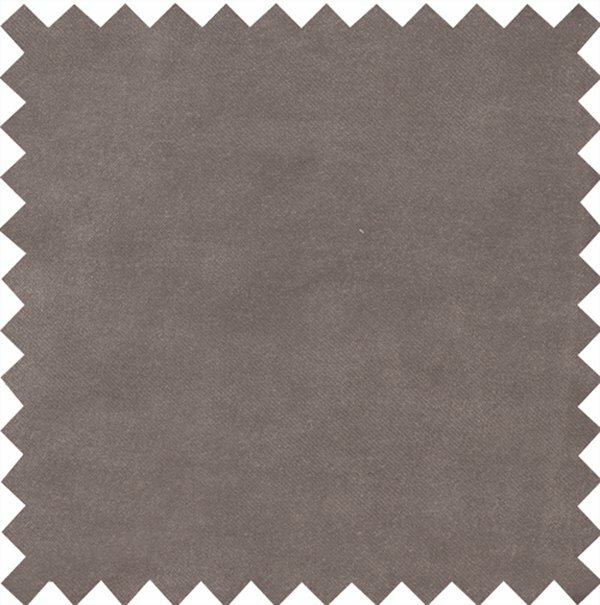 Colours are muted greens, browns and rusts and it’s a very soothing, grown up look. 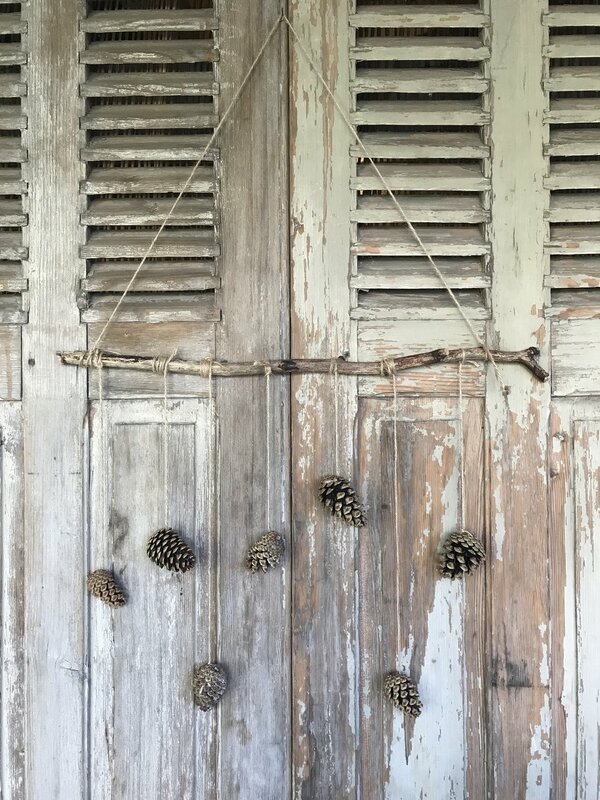 To help you to achieve this look use rustic accessories such as the Sainsbury’s Home mini Christmas tree, Woodland wreath and Woodland baubles. Complete your look candles in your Christmas wreath with these tartan Christmas crackers. 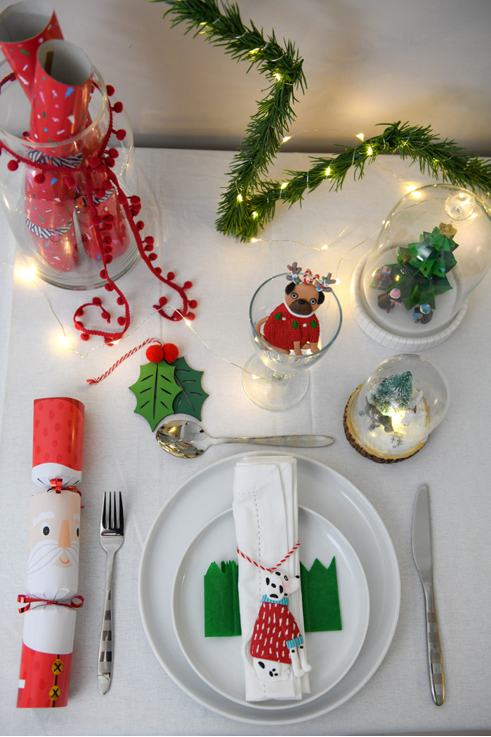 So whatever your taste, Sainsbury’s Home has Christmas accessories to suit or to add to your existing collection. Christmas is rolling around again with it’s parties, meals and gifts and all the expense that goes with it! However, wrapping your gifts and making them look wow really doesn’t have to be expensive! Primark recently asked me to try out their Christmas gift wrap range so I popped into my local Primark in Cheltenham for a lovely browse and picked up all of this delicious wrapping for under a tenner. I tried to pick a good mix in order to suit all tastes. Primark Wrapping Paper - 10 metre rolls - £1.50 - £2 per roll. The Elf wrapping paper is perfect for wrapping gifts for kids (young and old!) and is £2 for a 10 metre roll. I wrapped my gift, added red ribbon and then, picking up on the Elf theme and colour scheme, added red, yellow and green Pom Poms to the gift tag. These poms poms are available from any craft store and you just simply glue them in with PVA glue. In the film ‘Elf’, the elves love to eat candy canes so I used this motif to add something extra to the gift wrap too. The candy cane Christmas tree ornament featured here is from Primark, it you can buy the sweet versions inexpensively online. The added bonus of these of course is that the recipient of the gift receives extra gifts as part of the wrapping. Gold wrapping paper is always a classy statement and you can make it even classier by adding ribbon and evergreen embellishments. Simply snip some evergreen from your hedge or the local park - it will last for ages. I also used a tag and gold stickers from the Primark range to make a personalised label - Mums always love that sort of thing. I love the Nordic look and bringing the outdoors indoors and Primark’s Fir Tree wrapping paper is a great one if you like this too. For this wrap, I used inexpensive garden twine instead of ribbon for a rustic look. I then popped out and snipped some dried cow parsley and grasses that grow abundantly on roadside verges. I tied a few bits of the dried foliage together with the garden twine and taped it to the gift. Silver is another timeless classic that can be brought up bang to date with monochrome embellishments. 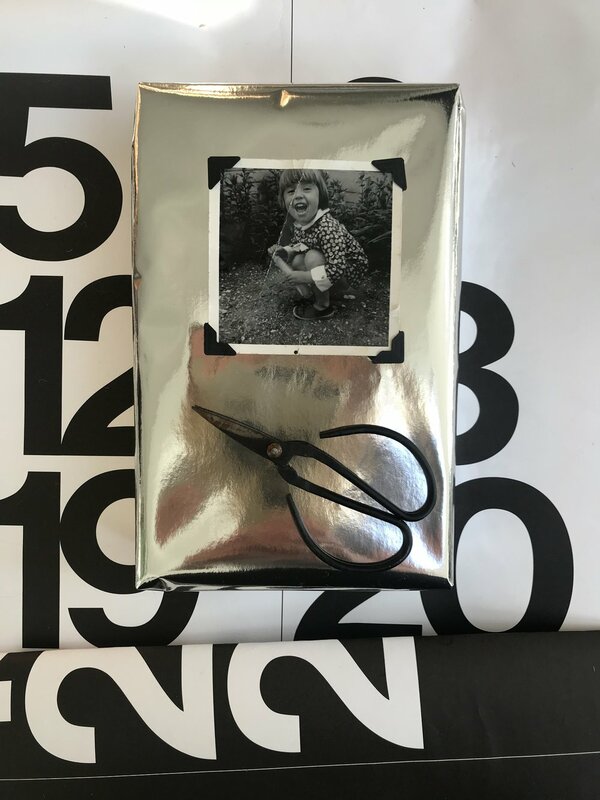 For this gift I added black photo corners to the wrapped parcel and inserted a photo of myself to my mum, but you could add a picture of you and the recipient enjoying a happy moment together during the year. The photos can be in black and white to keep with the monochrome scheme, or have it printed in colour if you prefer. It’s a great way of using some of this photos on your phone camera roll and again the wrapping becomes part of the gift. The camera bauble is also from Primark. So, it’s pretty easy and inexpensive to make your Christmas gift wrap look more expensive than it actually is - get crafty with additional stationary or get outside with your secateurs - it’s fun! This blog post is part of a paid partnership with Primark but, as always, all views are my own. Nova Food is a super cool food destination in the heart of Victoria, SW1. Just two minutes' walk from Victoria Station, it brings together some of London's most exciting eateries including Timmy Green, Shake Shack, Franco Manca and Aster. Until 8th September, Nova Food has transformed into a botanical haven with the launch of a new immersive pop-up, The Kitchen Garden. · Mindful gardening and relaxation workshop with Claire Ratinon. To celebrate the event, I was invited to style up three sheds in keeping with the mindful and healthy living theme of The Kitchen Garden. 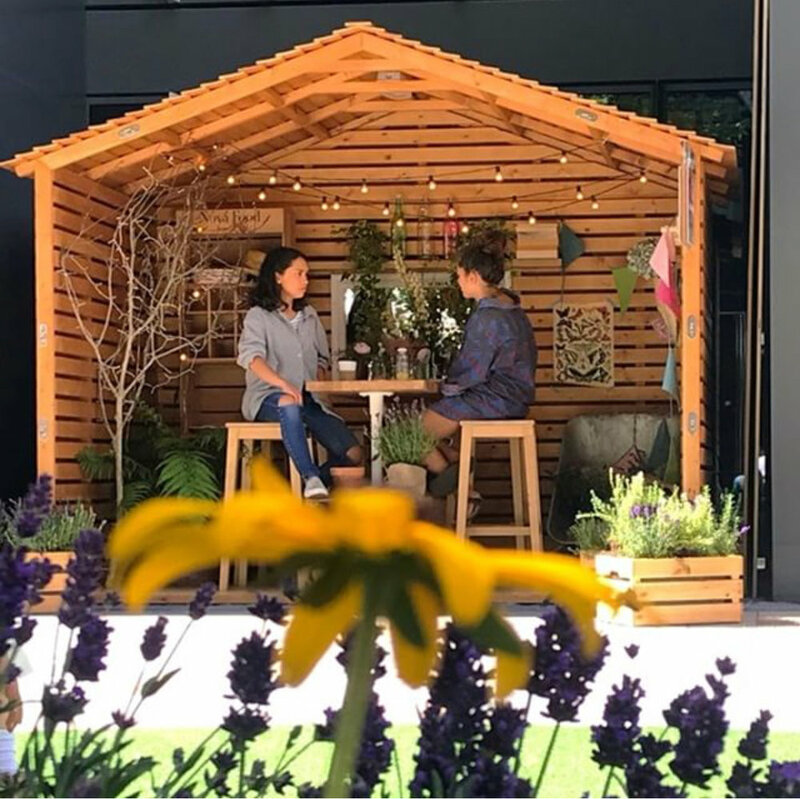 The first shed is called ‘Woodland Summerhouse’ and is designed as an escape from the hustle and bustle of London life. Dine with friends amongst nature and let the aromatic lavender, eucalyptus and rosemary around the shed help you to de-stress and relax. The second shed is a bar called ‘Botanical Escape’. Enjoy a drink surrounded by lush and aromatic greenery, designed to make you feel like you’re in a magical woodland oasis. The third shed is a bar called ‘Rustic Coastal Escape’. Enjoy a relaxing drink surrounded by delicate dune grasses and rustic coastal plants and textures such as dried hydrangeas, seagrass and oyster shells, a refreshing antidote to the London cityscape. All the sheds are designed as calming escapes from city life and will be used as pop up venues by Nova Food retailers throughout the event. Ticketed events will cost just £5 per person, with all proceeds going to The Cardinal Hume Centre, a local charity which provides support to local homeless people and families in need. A full schedule of activities can be found here on The Kitchen Garden events page, where you can also book your place onto our special activities. For more information, check out Instagram by searching @createvictoria and #TheKitchenGardenNova.